Community-Driven Development: How are Communities of Color Defining and Leading Equitable Neighborhood Change? On Thursday, December 4th, nearly 40 community members gathered at Goodwill Easter Seals for our second BCLI Issue Series of the season. Together we explored how to promote equitable community development without displacing residents and gentrifying neighborhoods in the Twin Cities. Building on the first Issue Series around organizing and engagement, we discussed the following two questions: How do neighborhoods define what equitable change looks like? How do communities of color benefit from development and prevent gentrification and displacement? We started the evening with small group discussions around the definitions of gentrification and displacement, then moved into our panel of neighborhood leaders who shared strategies and stories of successful neighborhood-led change that included authentic engagement and representative decision making. Check out the audio links below to listen to each panelist and view the photo gallery here. Caty Royce, the Director of Frogtown Neighborhood Association, kicked off the panel talking about building relationships and having honest conversations about neighborhood change with new and long time residents. Ms. Royce also spoke to the value of the Frogtown neighborhood being locally controlled, which led to the development of the Frogtown Farm and a small development company designed to Preserve Frogtown and build on the historical blue collar history of the neighborhood. Shauen Pearce, the Executive Director of Harrison Neighborhood Association, shared her strategies for engaging residents around policy, as well as ways to ensure that the board of HNA reflects the community and therefore leads decision-making around neighborhood developments. 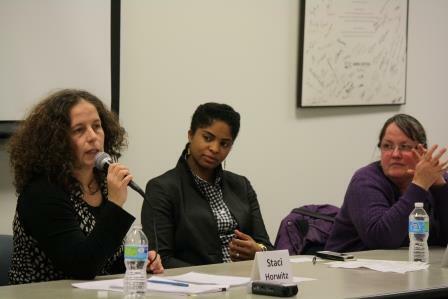 Staci Horwitz, Program Director of the City of Lakes Community Land Trust (CLCLT), expanded on equitable neighborhood change from the perspective of ensuring affordable homeownership for residents, using a community land trust model in the neighborhoods slated for change and development. The evening concluded with audience questions to the panel. Listen to the full Q & A, or see the list of questions below. (00:38) How do you inform and raise awareness around policy issues so they are more engaged and informed in the policies affecting their neighborhoods? (09:15) How is a land trust structured and can people get involved? (14:10) How can we allow and encourage affordable housing developments more in the inner core of the city versus on the outskirts like North Minneapolis (where there is ample affordable housing, “where we are affordable housed out”), without displacing those who already live there? Click here to read more about the December Thursday Night Issue Series, and click the links below to hear the audio recordings of panelists. 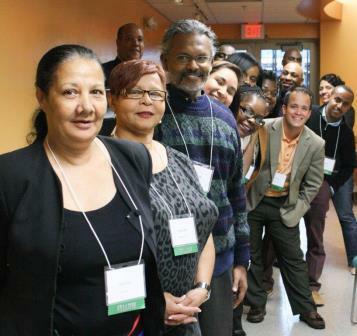 Racial Equity & Systems Change – What’s Organizing and Engagement Got to Do With It? The evening began with a group discussion of the differences and similarities of the two fields, before turning over to three panelists who shared their stories of success engaging and organizing for systems change. Check out the photo gallery here, and the links to the speakers’ audio below. 1. How do we create shared ownership so communities remain engaged long-term? 2. (2:54) Does a network exist across organizations to build power and movement at systems levels? 3. (6:32) How do we transform direct service organizations into social change organizations? 4. (10:54) How do we avoid burnout? 5. (13:38) What tools or strategies do you use to engage and communicate with those most impacted by issues? 6. (16:43) How do you deal with institutional racism that forces us into silos? 7. (22:45) What advice do you have for people who are doing or want to do work in organizing or engagement? *There was a question asked about how to deal with funders’ timelines when real engagement takes time; and unfortunately there was an error on the recorder during that portion of the Q & A. Our apologies! Click here to read more about the November Thursday Night Issue Series, and click the links below to hear the audio recordings of our panelists. Good morning everyone. I am Repa Mekha, President & CEO of Nexus Community Partners, a Community Building Intermediary committed to BUILDING MORE ENGAGED AND POWERFUL COMMUNITIES. I’d like to welcome you to the Twin Cities region. I am excited, encouraged, and challenged by the work that our region has been engaged in, as well as the possibilities that sit within our reach for the future. • This morning we’ve heard a lot of exciting things about the investments and developments that have been occurring in the region, so I won’t repeat it. • An important thing for us to remember in the midst of this excitement is that major investments in the built environment, should translate into major benefits in for the human environment. It is where “outcomes” get lived out. • This is especially important for our most economically and environmentally vulnerable populations. There is an emerging understanding that the region can only achieve and sustain growth and prosperity by integrating all into the economy. That engagement and advancing equity is a long-term proposition, and is intricately tied to our regional economic competitiveness. By linking these three together (engagement, equity, and regional economic competitiveness) the region has brought various stakeholders, including underrepresented communities, around some shared vision, hope, and interests. During the last four years the Corridors of Opportunity (now PRO), mentioned earlier, has provided a basic framework, roadmap, and some structure to make progress in addressing disparities and advancing equitable investments in development in the region. Engaging underrepresented communities in planning, decision-making and implementation has been a hallmark of this work. • Over 25 community-based organizations received funding and TA to increase their capacity, and engage communities around transit and transit planning processes, directly informing with over 40,000 people across the region, 12,000 engaged in meeting, and 250 taking on key leadership roles in their communities. • We’ve had the involvement of CBO representatives participate in the development of job criteria and hiring process for public agency and government staff positions. This makes it not easy, but easier, to begin spreading an equity agenda, as opposed to working in silos or on the fringes. But, we are still young in this work, and slippage can occur easily. • A paradox in which we’re viewed as a place of openness, while communities of color face some of the greatest barriers to access to opportunity structures. So we need to constantly challenging the aphorism that “a rising tide lifts all boats”, because even when all boats rise, in the absence of appropriate policies, those that have been regulated to the shoreline opportunities, the most shallow waters, may very well remain restricted there, and never benefit from the wide array of options and opportunities that only exist towards the middle, in the deeper waters. Some boats even run the risk of being marooned to the beach if tides slightly shift. To effectively achieve Equity, outcomes must be in the form of population outcomes, AND, systems and policy outcomes. We have to be intentional, strategic, purposeful, and courageous, about ensuring that all members are benefiting from the investments made. c. More examples of tying equitable principles and practices to funding criteria. This is where the rubber it’s the road. a. The region will invest billions of dollars in TOD, underrepresented communities have to more than consumers of services and products as an outcome = not just riders, not just shoppers. 4. Creating a Public Landscape That Supports Regional Equity Conversations and Vision and Learning: (It’s important to intentionally create the environment that the work as to take place in). In our region we have made degrees of progress in all four of these areas Although there is much work that still needs to be done, there has been a strong foundation laid over the years from which much can still be accomplished moving forward to benefit and uplift historically underrepresented communities, and to ensure equity is embedded in public planning processes, decisions, and investments. 4. Engagement for Shared Prosperity: the existing and emerging economies include underrepresented communities as homeowners, business owners, and policy makers. Our region needs the full range of voices at the table to understand issues, explore alternatives, and create a shared roadmap to addressing to our best opportunities and our most complex challenges of the future. We have courageous nonprofit, government, pubic, philanthropic, and for profit leaders that have stepped forward to lean fully in to this work But our increasingly diverse population must help lead into the next era of our growth, our future. Equitable outcomes are shared outcomes. Nexus Community Partners recently released “Assess Your Work: Essentials of Community Engagement” as part of its Building the Field of Community Engagement Initiative. The document answers the questions, “What is authentic community engagement and how does an organization know if it’s doing community engagement?” The document also provides a tool to help organizations, institutions and individuals answer those questions for themselves. 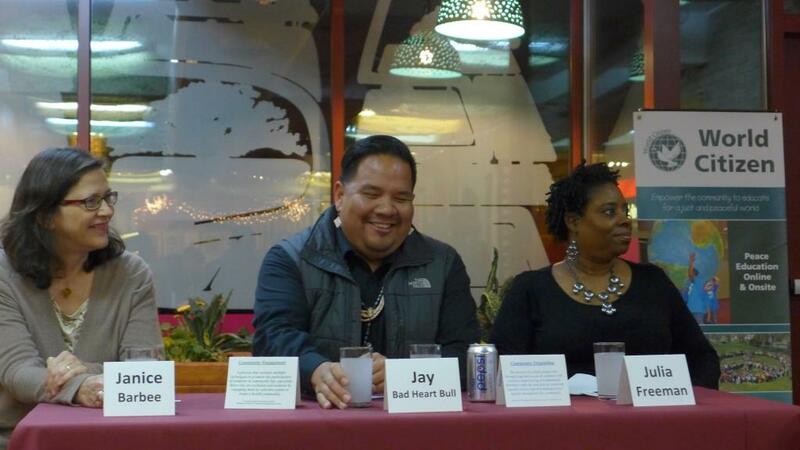 On Thursday, October 9th, over 90 people gathered at the Dakota Lodge at the Division of Indian Work to celebrate power in community and to welcome the new Boards and Commissions Leadership Institute (BCLI) fellows into the BCLI family. These 15 fellows will be the next group of advocate commissioners advancing racial equity and social justice through locally appointed boards and commissions. Meet the fellows here. The theme of the night was centered on the Kenyan proverb, “Sticks in a Bundle are Unbreakable;” the idea that we are more powerful collectively than we are as individuals. 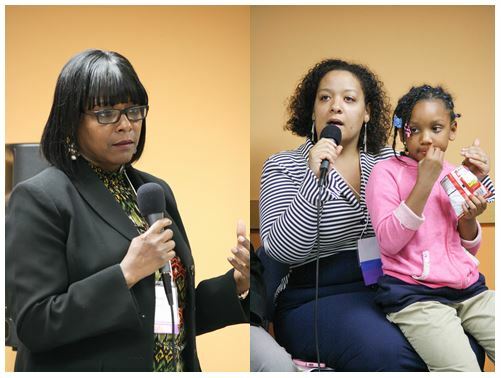 A panel of two social justice leaders, State Representative Rena Moran and BCLI Alum Roxxanne O’Brien, shared their experiences advocating and advancing equity, while staying grounded in the community. Check out the event’s photo gallery here. 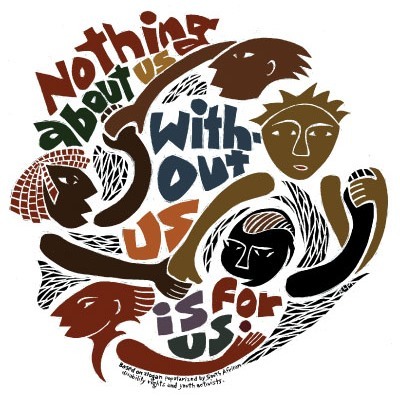 Being “in so deep, you can’t get out” – as a reminder to people who do community work that they do not have a choice because it affects them as individuals and their entire community; therefore, we share the collective responsibility to push for equity. People come to the work where they are; no more, no less. People come to these decision-making tables with only their experiences and it is our job to educate them on differences of opinion, strategies and impacts on underrepresented communities. Relationships, relationships, relationships. If we are not in the community, how will we know the pulse of our community? Being from underrepresented communities means we come to the work with these relationships and feel that pulse – therefore it is vital that we maintain those relationships to stay rooted and to uplift our communities together once we are on decision-making bodies. One-on-ones are a powerful tool. The reality is that in Minnesota, we have very few leaders of color at the capital, in elected office, and on boards and commissions. In order to change policies and incorporate equity into systems and institutions, we must find common ground with current leaders to reach some agreements – and one-on-one conversations are very effective at sharing and learning about each other’s stories, values and vision. We must break out of the matrix. Racial equity and social justice work can be exhausting – especially when caring for families, working one or multiple jobs, and also being expected to show up for rallies, meetings, events and/or one-on-ones. But in order to break the chain of systemic racism, we must show up and break out of the business-as-usual mode of operation. Look at what we can accomplish together in action – together we are unbreakable when we all realize our power and move collectively. From the community members, to fellows, to alum, to the panelists and the organizers in the room – Nexus is looking forward to what we will accomplish together this year and to advancing racial equity and social justice in the Twin Cities region in the years to come. We hope to see many of you at our upcoming Issue Series, which are open community events where we highlight the work of partners in the equity movement. 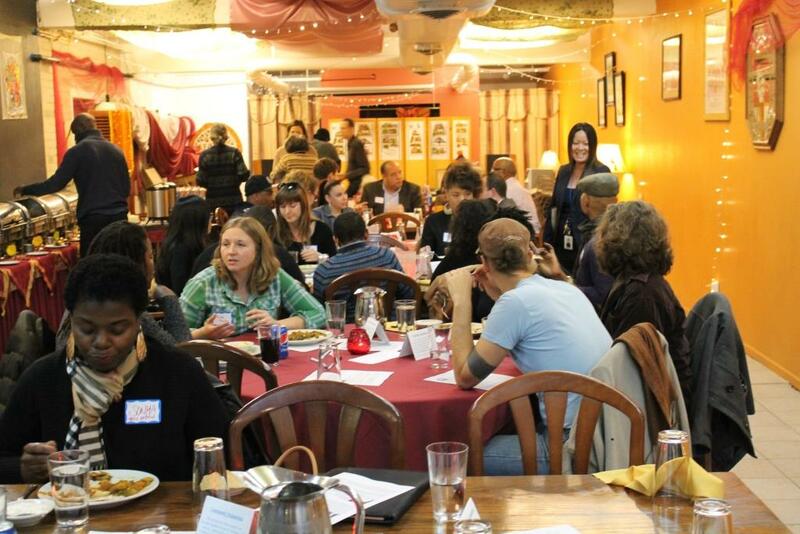 Our first Issue Series will be on Organizing and Engagement on November 6, 2014, from 5:30-8pm at Gandhi Mahal in Minneapolis. Sign up to receive e-invitations three weeks prior to each event at www.nexuscp.org. 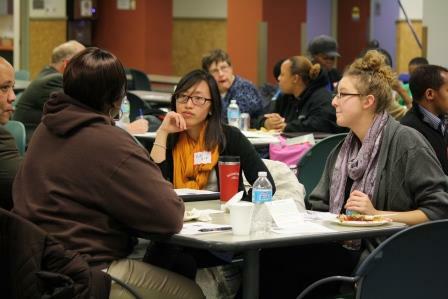 Or contact the program associate, Angie Brown, for more information at abrown@nexuscp.org. Developing Leaders to Advance an Equity Agenda: Boards and Commissions Leadership Institute Announces its Second Cohort! Nexus Community Partners is pleased to announce the second cohort of the 2014-2015 Boards and Commissions Leadership Institute (BCLI). The 15 cohort members come from various communities in Minneapolis, St. Paul and the surrounding suburbs and bring a wealth of experience and knowledge working in community, non-profit and private sectors. The BCLI will train and place these dynamic individuals onto publicly appointed boards and commissions in the Twin Cities. The fellows will have the capacity and community support to advance a regional equity agenda and serve as the next generation of leaders who are representative of, and accountable to, the region’s communities of color and other underrepresented populations. These fellows join a prestigious group of alumni, eight of whom serve on a current board or commission or at a high level policy position in government. Read more about our alumni here. Fellows were selected through a competitive nomination, interview and selection process led by a committee of six community members and BCLI alumni. The final cohort reflects a balance in race, gender identity, geography, issue area, experience and target boards and commissions. Read more about the fellows here. We invite partners and community members to join us for the BCLI Launch Event on Thursday, October 9th from 5:30-8pm at the Dakota Lodge at the Division of Indian Work, 1001 E. Lake Street, Minneapolis, MN 55407. You’ll have a chance to meet our fellows and hear from a panel of long time local social justice leaders on the historical context and significance of people of color and other underrepresented communities joining boards and commissions. Panelists include State Representative Rena Moran, District 65A, and BCLI Alum Roxxanne O’Brien, Inaugural BCLI Cohort. Additional panelists to be announced. For more information about the BCLI, the Launch Event, or ways to become involved, please contact the program associate, Ms. Angie Brown, at abrown@nexuscp.org, or program director, Ms. Terri Thao at tthao@nexuscp.org. 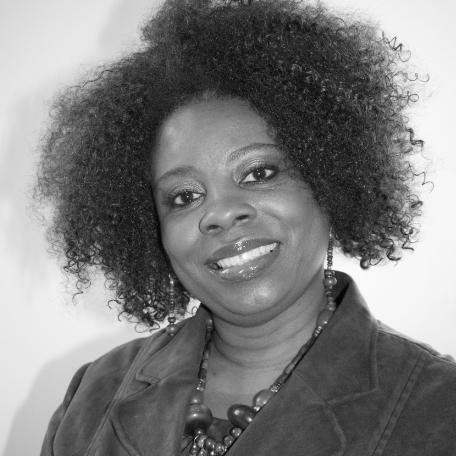 Welcome Nexus’ new staff member, Giselle Efon! 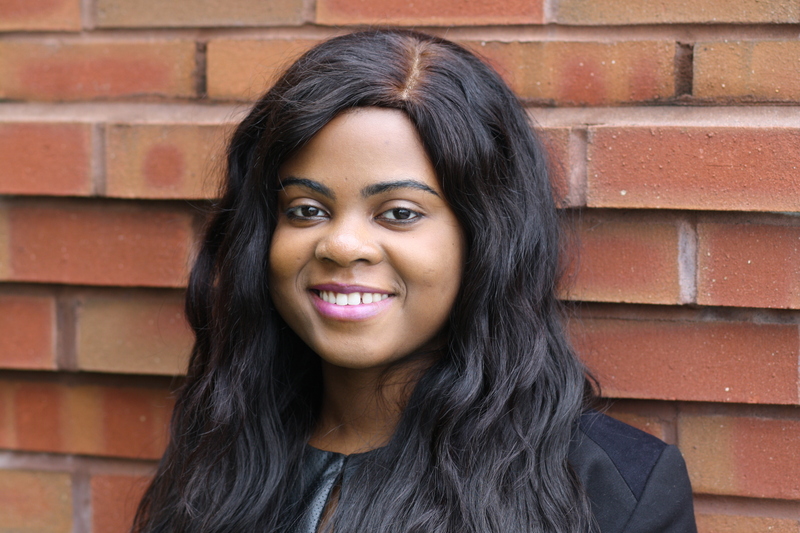 Nexus is excited to welcome our new Community Engagement Associate, Giselle Efon. Giselle is an AmeriCorp VISTA member joining us for a one year term beginning August 7, 2014. She will be providing support to a network of culturally and place-based community organizations along the Blue Line Extension Light Rail Corridor working to align shared community visions and equity goals on a local and regional level. 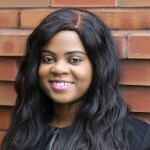 Giselle moved to the United States from Cameroon, West Africa in 2007 and she recently graduated from the University of Minnesota with a B.S. in Family Social Sciences. Welcome Giselle! Owners of the architectural firm 4RM+ULA, located in Lowertown Saint Paul, believe the METRO Green Line has revived University Avenue and Saint Paul. “There is something awesome about feeling that you are connected again,” said the firm’s founder, James Garrett Jr.
Architects James Garrett Junior (left) and Nathan Johnson designed the METRO Green Line stations. Their firm, 4RM+ULA, is located in Lowertown Saint Paul. The local architect said that one of his favorite things about the project was watching the construction. Garrett and his partner at 4RM+ULA, Nathan Johnson, designed the stations along the Green Line. They started working with Metro Transit in 2007 – their first transit project. “The whole project was fun and challenging,” said Johnson. Johnson said they visited each station along the Green line and spent quality time with each station’s artists.